Photo of: West of Ireland: West Cork: Mizen Head Peninsula. 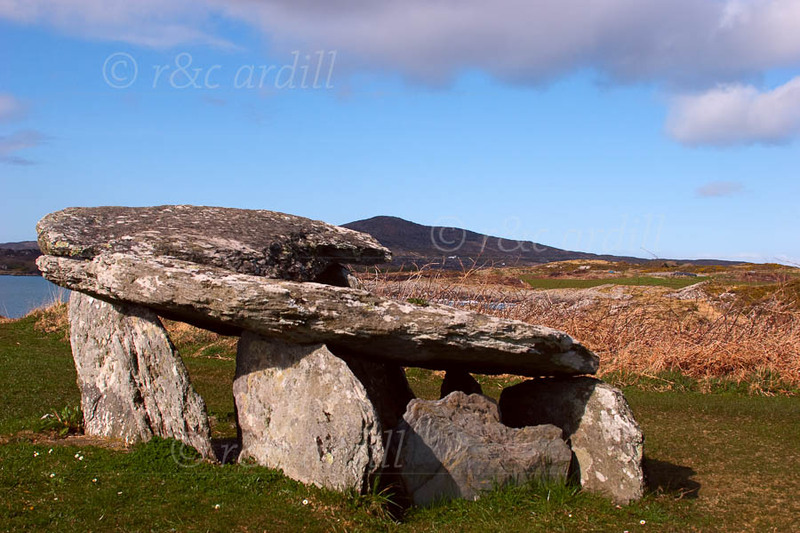 This wedge-shaped tomb is on the Mizen Peninsula looking out towards Toomore Bay. Its entrance is lined up with the distant Mizen Peak. The tomb was erected at the end of the Stone Age, around 3000 to 2000 BC. Burnt human bone found recently at the site has been dated to about 2,000 BC.